Alpine Flight specializes in on-demand air taxi and air charter. We are centrally based in Eagle, Colorado in the heart of the Rockies. We provide direct service between nearly all airports in our database. Click on a state below to see which airports we service. 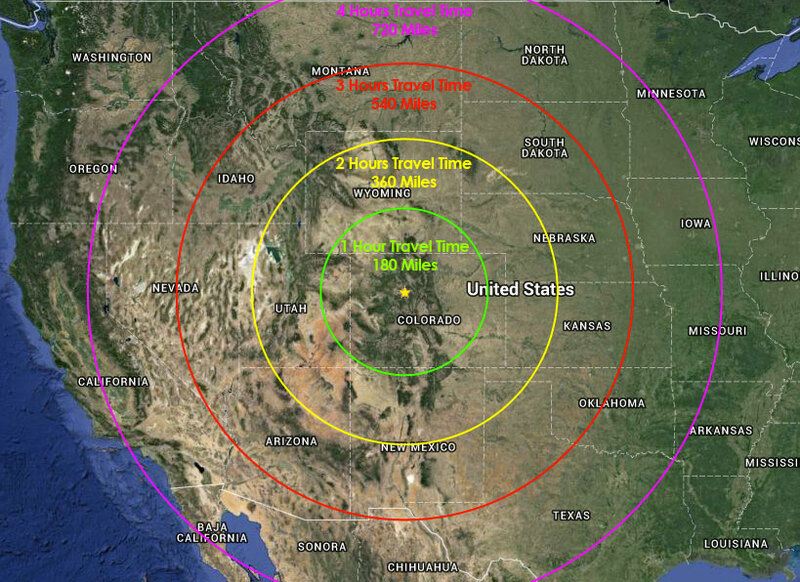 Travel time is a function of distance and the winds, this map shows estimated travel time between central Colorado and a variety of destinations. Click rates and book from the menu for specific rates and time enroute. For more information or to book a charter call (970) 401-5105.